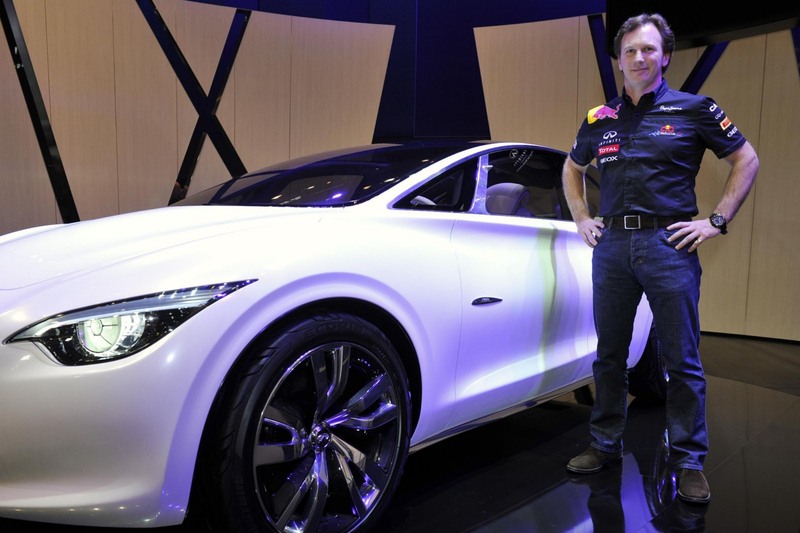 Το νέο entry-level πρωτότυπο της παρουσίασε η Infiniti στη Γενεύη. 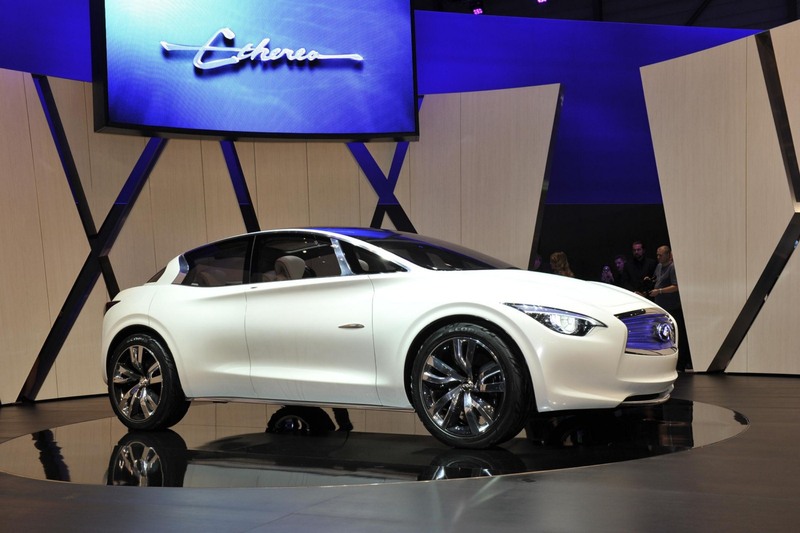 Το πρωτότυπο ονομάζεται Etherea Concept μπορεί να μεταφέρει 4 επιβάτες και σχεδιαστικά διαθέτει μια μίξη στοιχείων ενός coupe, sedan, hatchback και crossover αυτοκινήτου, με την Infiniti να το ονομάζει ως compact sedan coupe. Το αυτοκίνητο έχει γίνει κάτω από το βλέμμα του Shiro Nakamura, αντιπρόεδρου σχεδίασης της Infiniti και έχει μήκος 4.4 μέτρων. Θυμίζει κάτι από το Essence concept κυρίως στην σχεδίαση των πίσω κολονών και στην μπροστινή γρίλια. Μηχανικά το μπροστοκίνητο Etherea (το πρώτο μπροστοκίνητο της Infiniti) εφοδιάζεται με ένα παρόμοιο υβριδικό σύστημα της Infiniti M35h που αποτελείται από ένα κομπρεσοράτο 2.5 λίτρων κινητήρα απόδοσης 245 ίππων και από έναν ηλεκτροκινητήρα. Οι δύο κινητήρες μεταφέρουν την κίνηση στον δρόμο μέσω ενός αυτόματου κιβωτίου CVT. Η έκδοση παραγωγής του θα είναι έτοιμη μέσα στα επόμενα 2 με 3 χρόνια. Παρόν, κατά την διάρκεια της παρουσίασης ήταν και οι Sebastian Vettel και Christian Horner της Red Bull Racing, με τον λόγο να είναι προφανής, αφού οι εταιρίες υπέγραψαν μεταξύ τους συμφωνία. 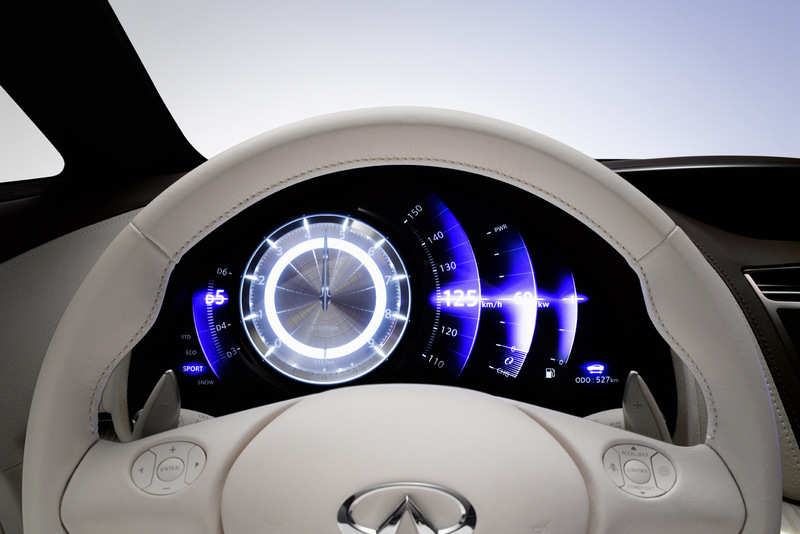 “ETHEREA is about a new type of luxury,” said Toru Saito, Corporate Vice President and Leader of the Global Infiniti Business Unit. 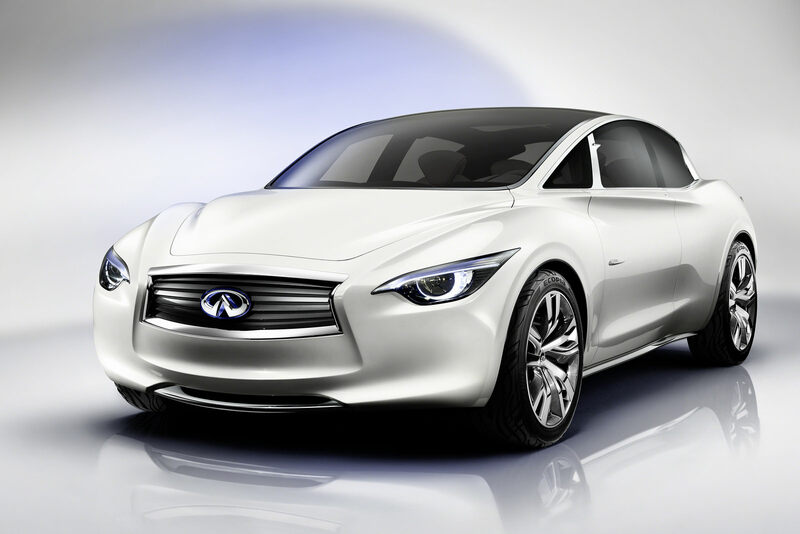 Encapsulating everything that Infiniti stands for – including no-compromise hybrid power and maximum driving pleasure – in a car 4.4m long, ETHEREA proposes a bold new approach to the premium compact segment. Its dynamic character and highly sculptural, near mono-volume form provide a silhouette unlike anything currently in the class. 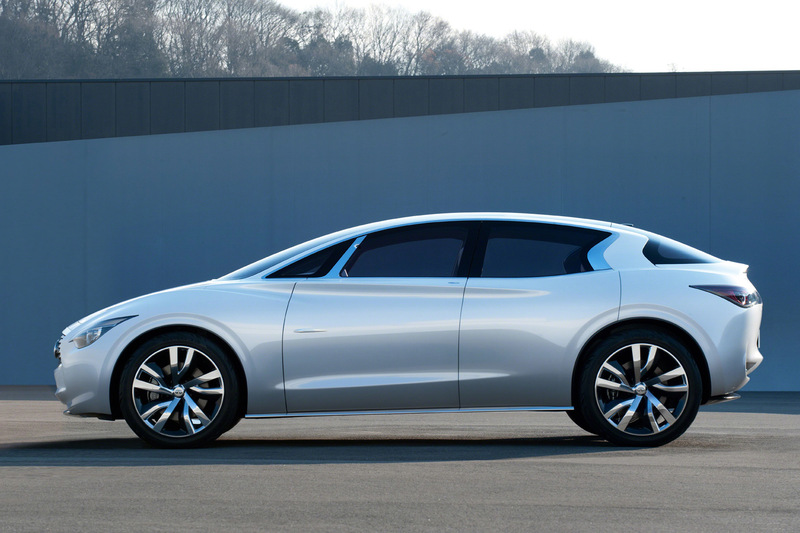 “ETHEREA is completely different from current luxury compact cars,” said Senior Vice President of Design, Shiro Nakamura. 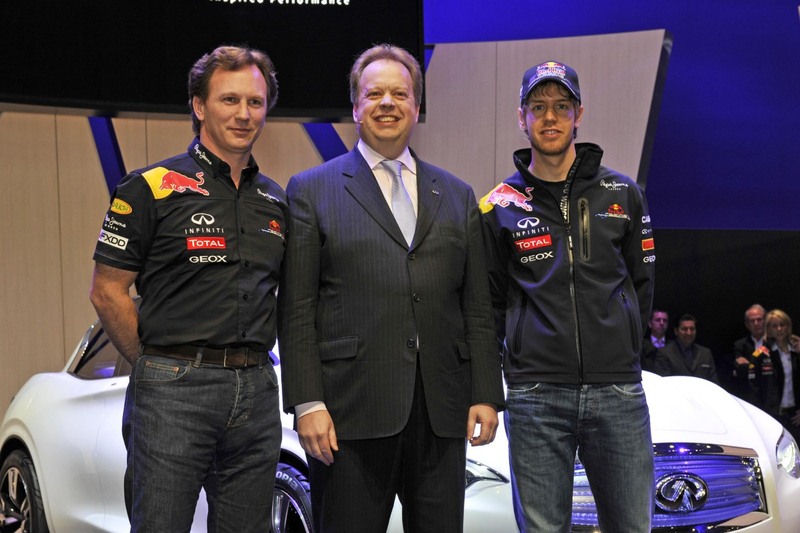 “That is appropriate for a new generation of drivers who think of themselves as different. 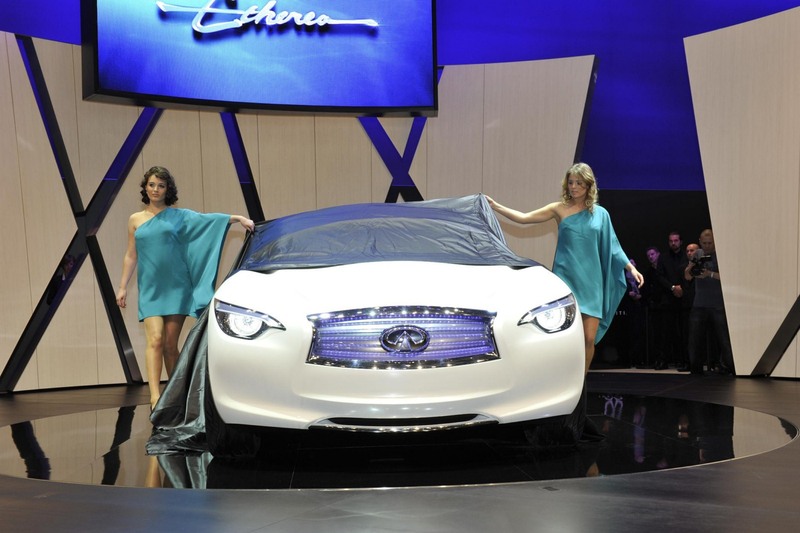 ETHEREA’s segment-busting appeal is based on the coming together of several vehicles styles. 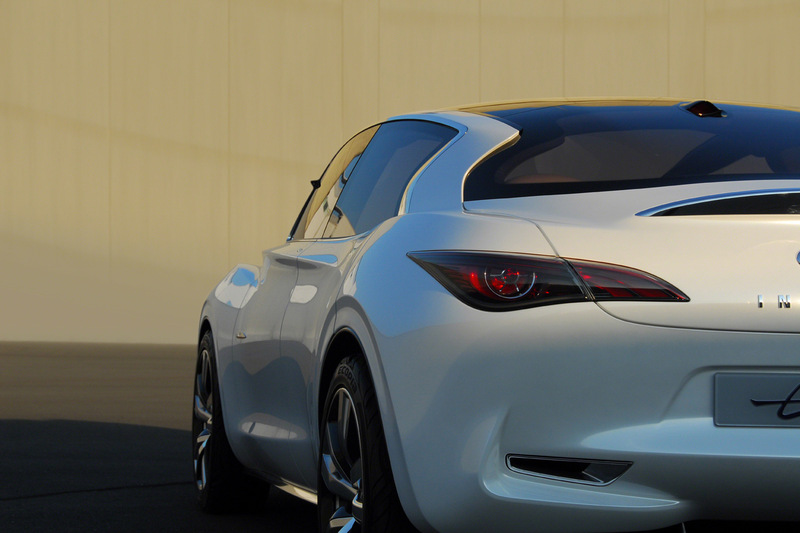 It is part elegant coupé, part spacious sedan, part practical hatchback and even part tall crossover. 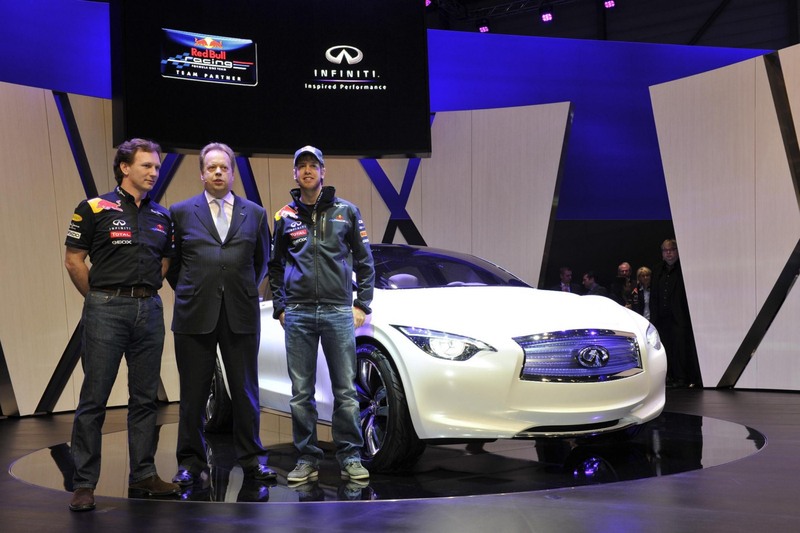 And being an Infiniti, there is also a large helping of sports car in the way it drives. A supercharged 2.5-liter 4-cylinder petrol engine developing 245 PS provides quick response and strong acceleration throughout the performance range. 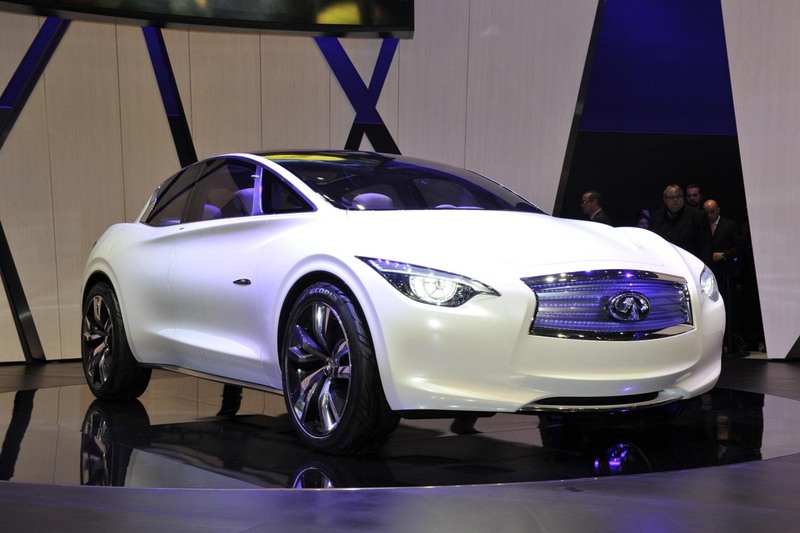 Boosting power when more is needed, and providing silent, emission-free driving at low speeds, is an electric motor. 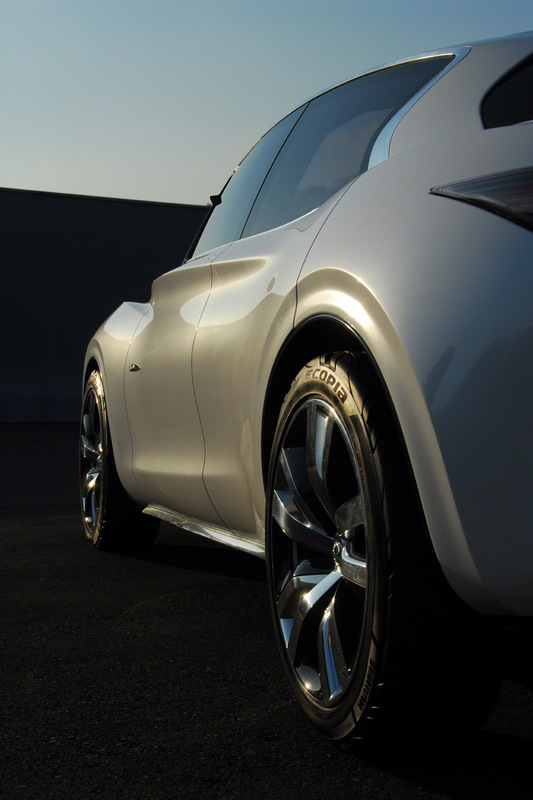 The transmission is a continuously variable (CVT) type and, in an Infiniti first, drive is to the front wheels. 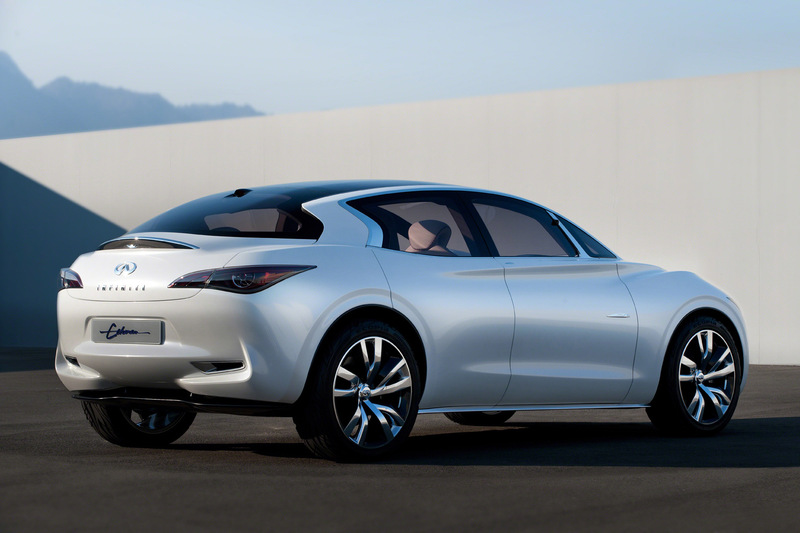 Designed in Japan under the direction of Shiro Nakamura, ETHEREA is more coupé than hatchback in inspiration, with many Infiniti flourishes first seen on the Essence concept supercar. 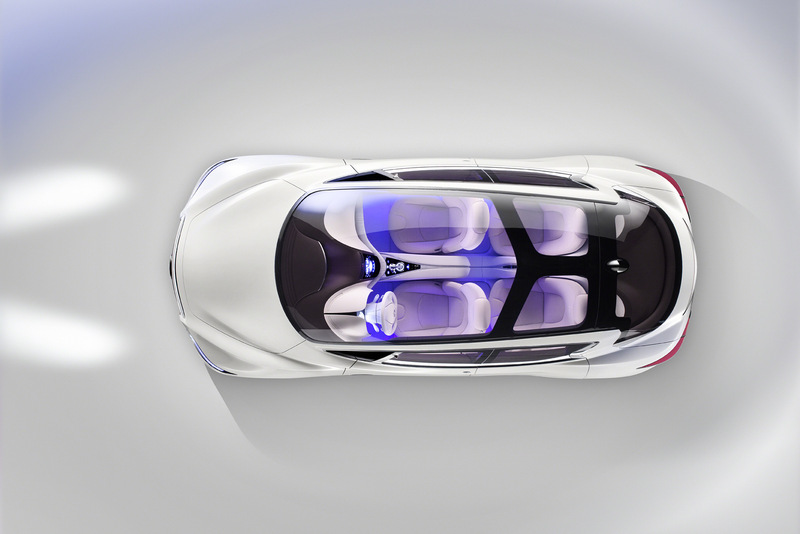 However, ETHEREA’s elegant profile is not at the expense of practicality. 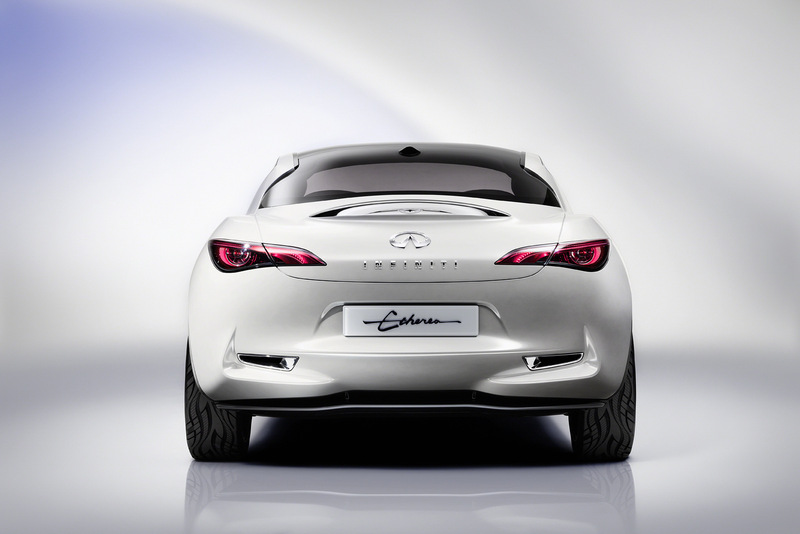 Despite appearances, ETHEREA boasts a large lift-up tailgate. 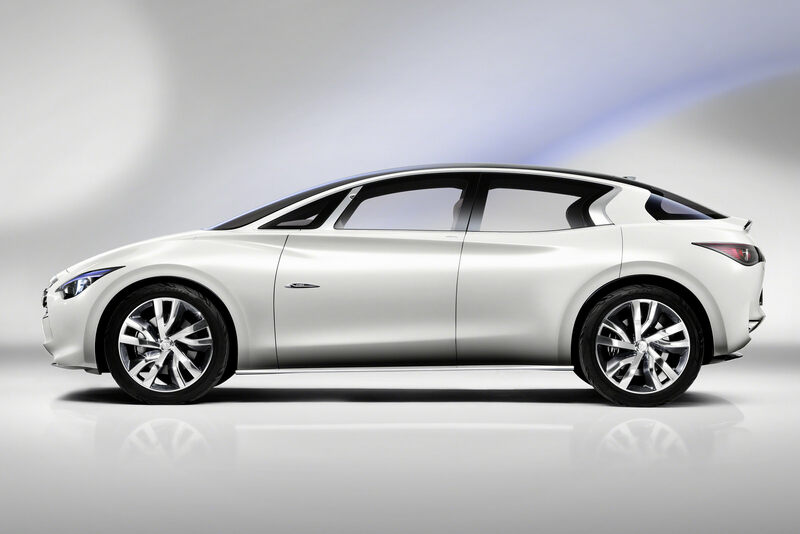 Utlising an in-house platform developed for use by Infiniti, the long wheelbase and minimal overhangs guarantee characteristic Infiniti visual poise and sporting appeal. 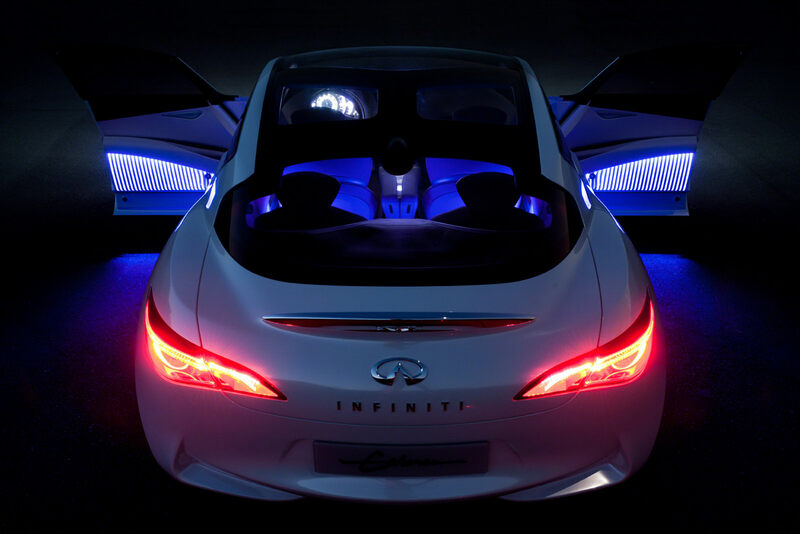 The bonnet may not be as long as that of rear-drive Infinitis, but the proportions are just as finely judged and the overall look just as balanced, with the unique crescent C-pillar offering a dynamic, and very distinctive, Infiniti signature. 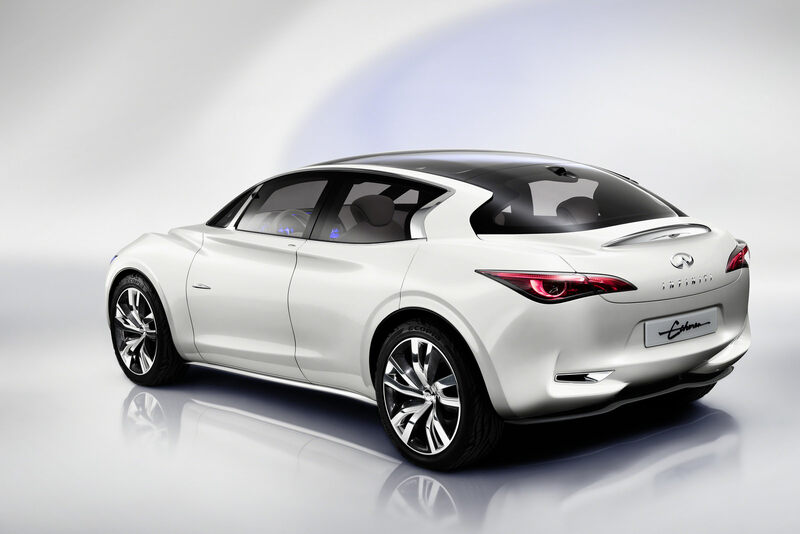 The spacious four-seat cabin offers all the luxury that Infiniti owners expect plus unrivalled ease of access and egress, boosted by an H-point which is higher than that of the average compact luxury car. 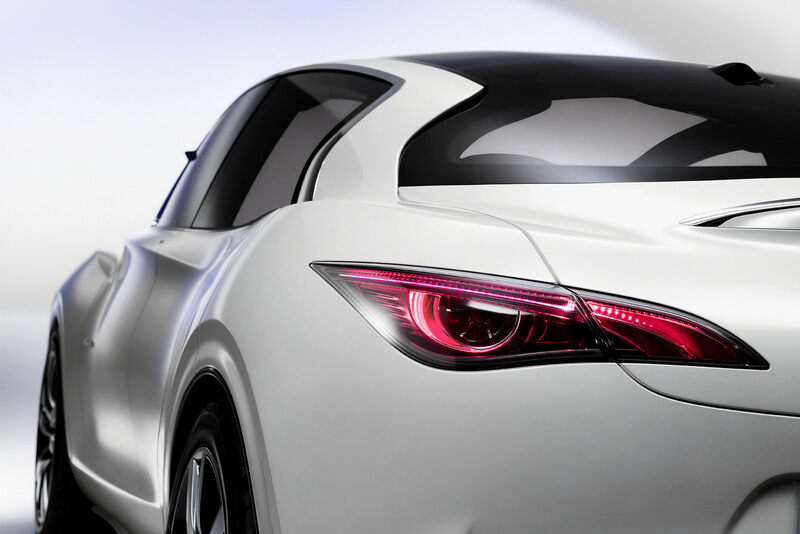 Four wide opening doors, rear-hinged at the back, and an absence of B-pillar offer an unprecedented feeling of openness. “Other elements of exterior design and interior craftsmanship are set to have an important influence on future production models,” said Shiro Nakamura. 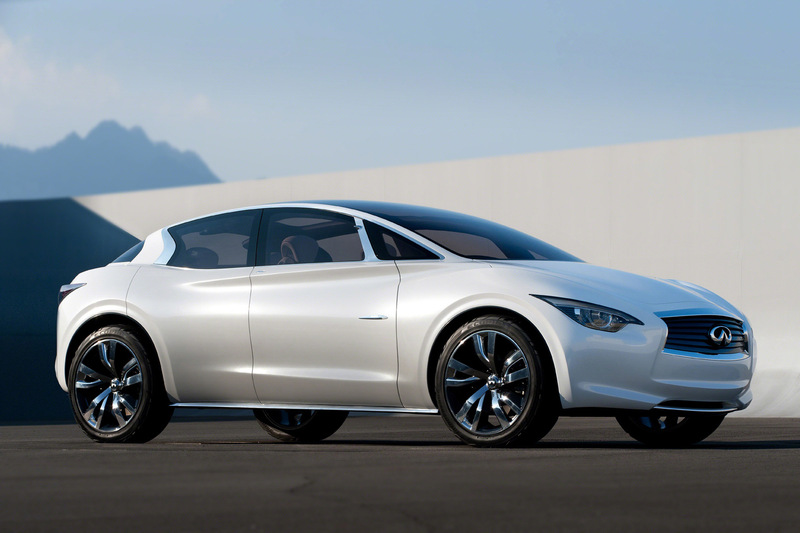 Project leader and exterior designer, Giichi Endo, says ETHEREA can be summed up as a “four-door coupé with five-door practicality – a hatchback that doesn’t look like a hatchback.” Key was managing the new front-wheel drive architecture – all very different from the rear-drive FM platform that Infiniti designers are used to working with – to provide the traditional Infiniti “seductive lustre” to the design while delivering the interior roominess crucial for a car in the 4.4m class. 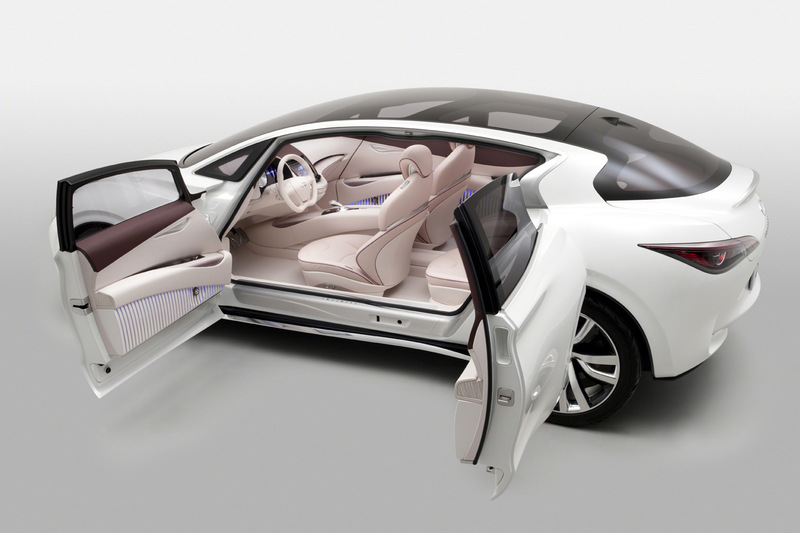 Wide opening doors, the rear doors hinged at the back, and no B pillar were central to the idea of being able to make the cabin as open and welcoming as possible. Access is further eased by the car’s height. 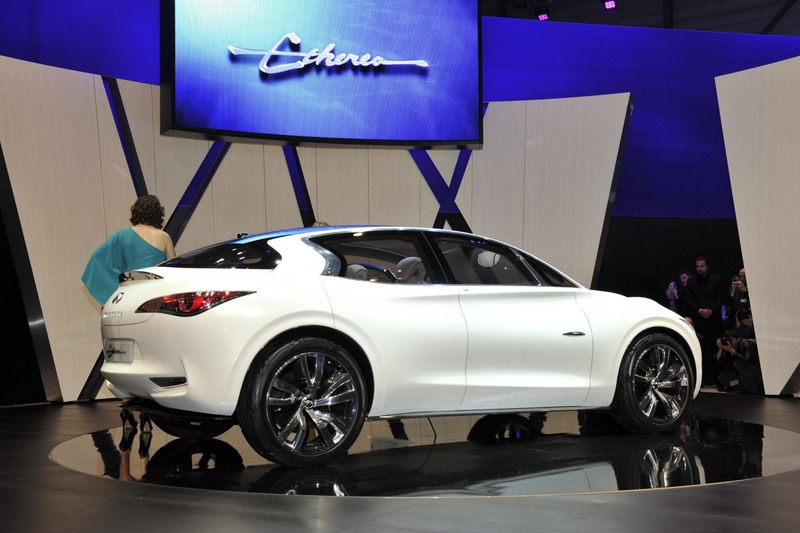 ETHEREA is not a crossover but with a driver H (hip) point higher than in a regular compact car, it does hint at the easy access and natural driving position that distinguish an Infiniti such as the FX. 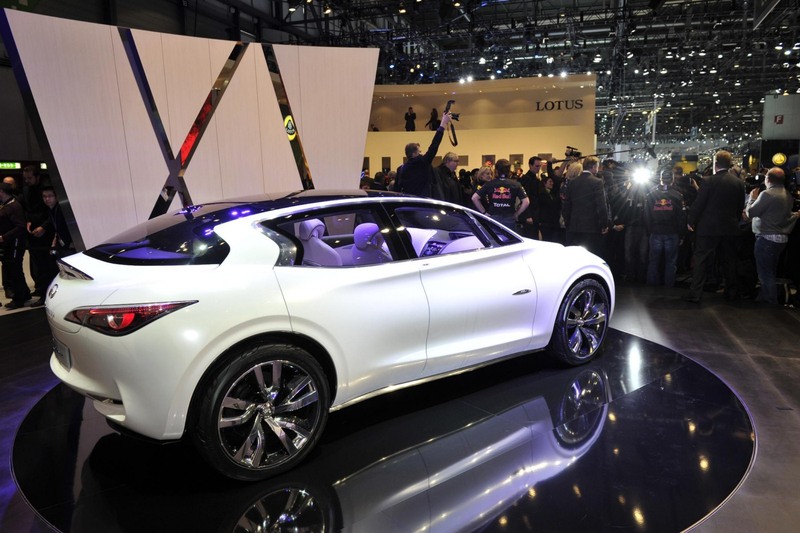 The designers have dubbed the slightly elevated body style the “Lift-up”. 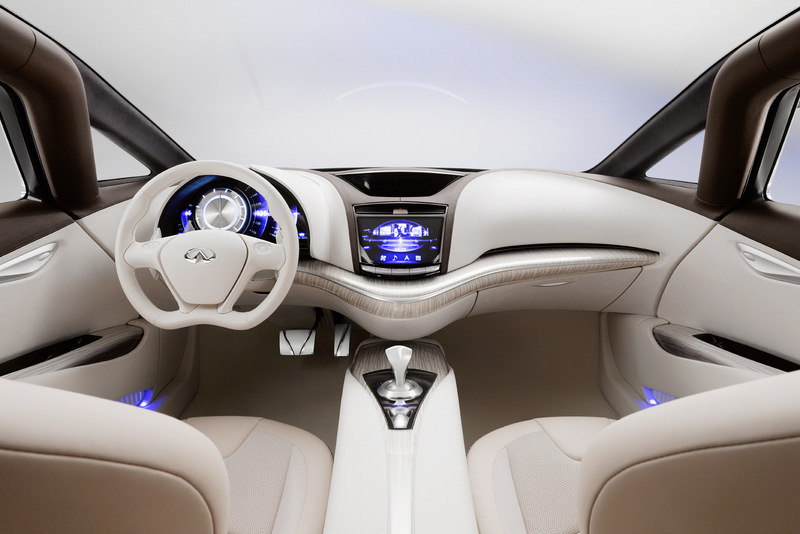 The front of ETHEREA offers an unmistakable impression of solidity. 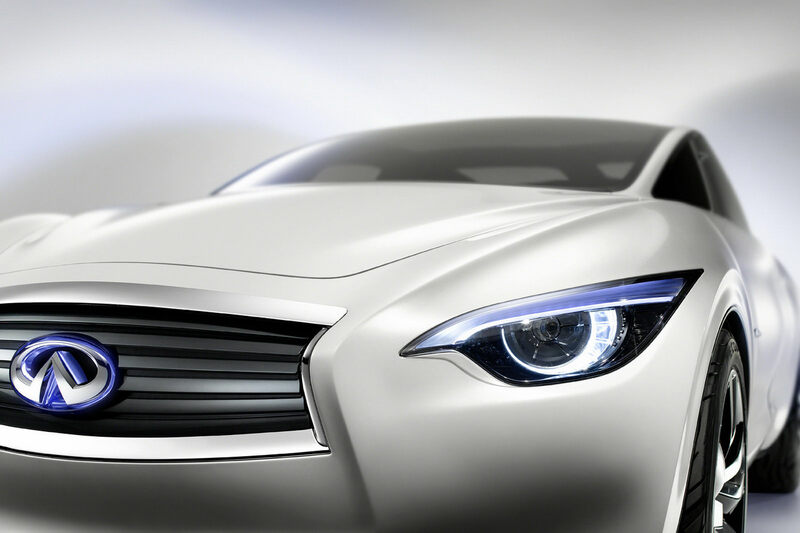 In a design that instantly links it to the rest of the Infiniti family, the high bonnet line is fronted by a deep grille. 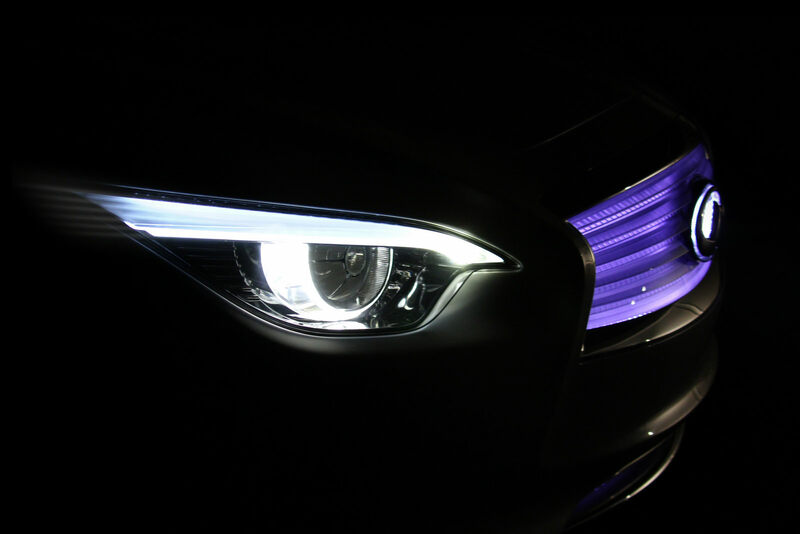 An updated version of Infiniti’s familiar double arch design, the grille’s translucent mesh finish with illumination is both entirely functional and highly artistic. Shiro Nakamura says, in profile there is a suggestion of a mono-volume design -very different from current contenders in the compact luxury segment. 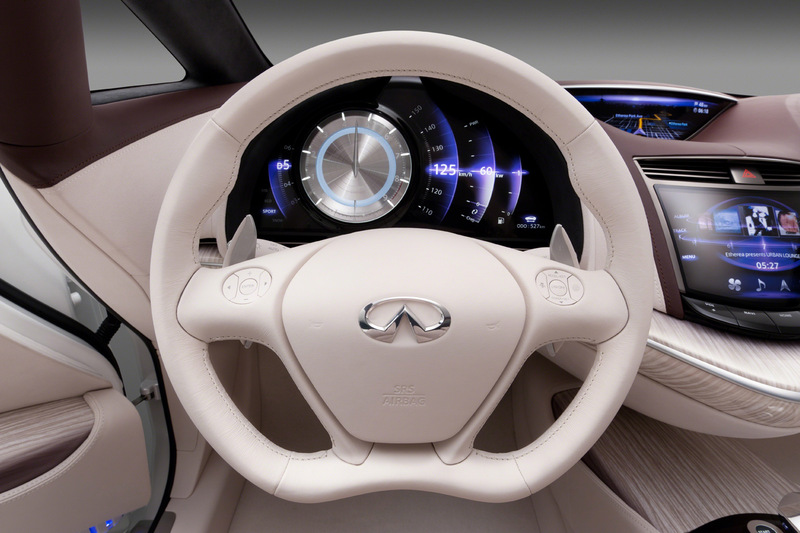 Like any Infiniti the driving position is sporting. 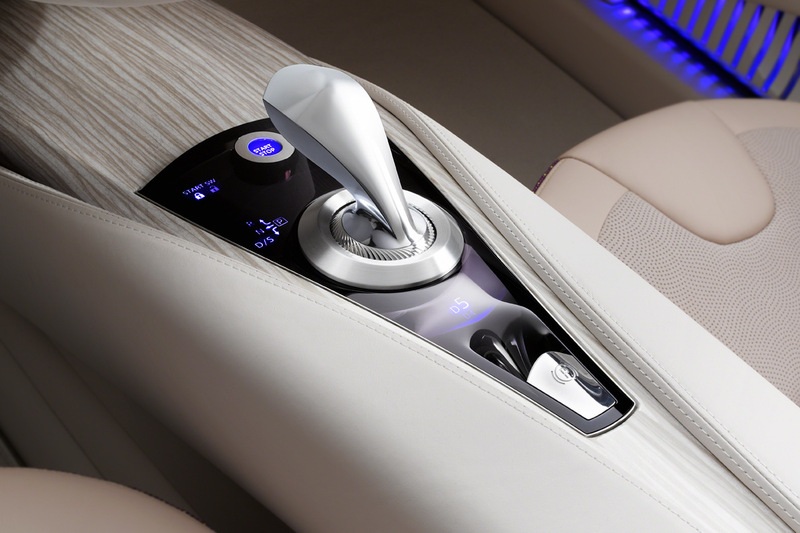 The control layout is very driver centric, though not in a way that excludes passengers. 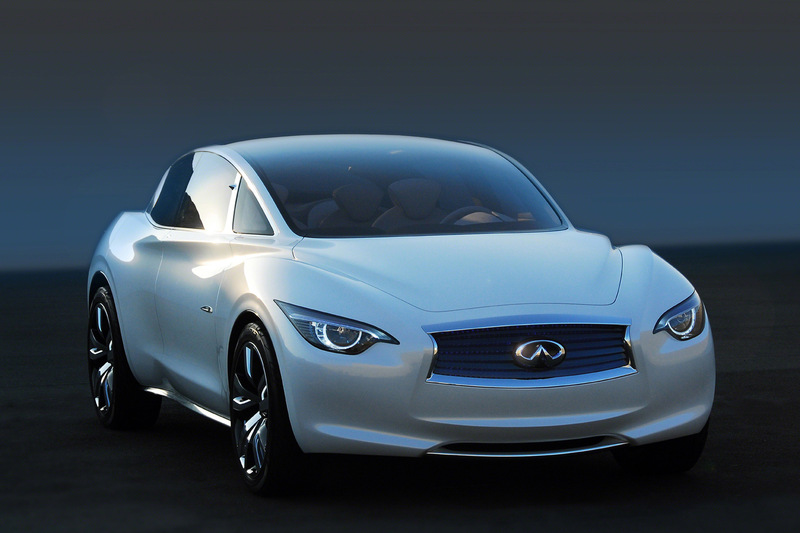 Here is a concept where the luxury and sportiness can be shared by all. 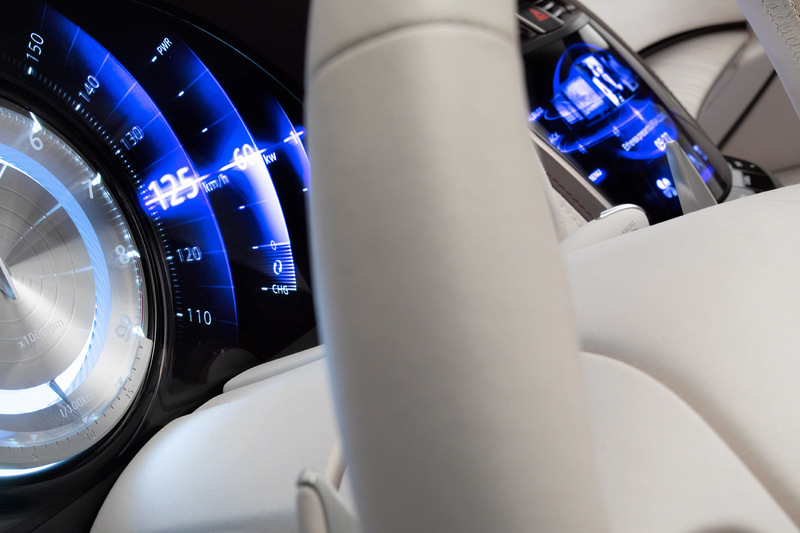 For example, the centre of the dashboard features twin screens, both as easily accessible to the front seat passenger as the driver. 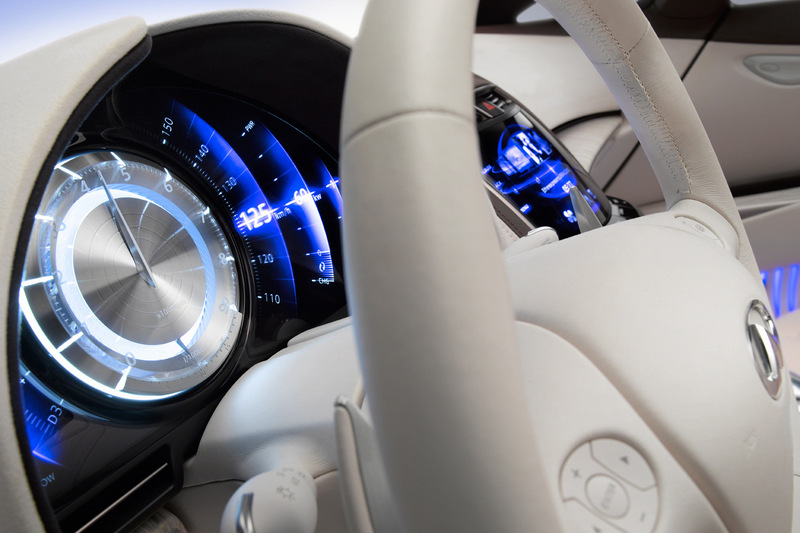 The lower, nearer display is a touch-screen for control of functions such as climate control and entertainment, while the screen further away is used purely to display information. 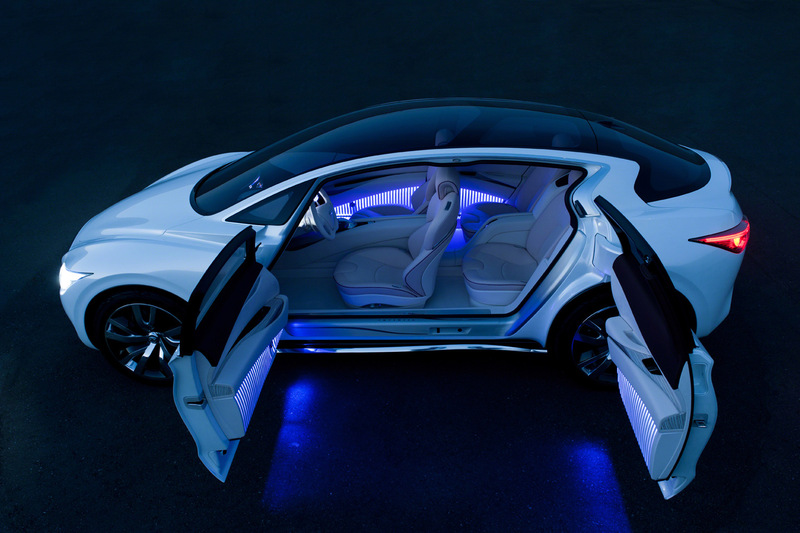 Francois Bancon said: “ETHEREA represents a redefinition, not a revolution – a car for buyers whose idea of luxury is very different from the stereotypes. ETHEREA is not a stereotype. It is a little bit borderline. It is an expression of identity and personality. It adds new values, as well as conveying existing ones.